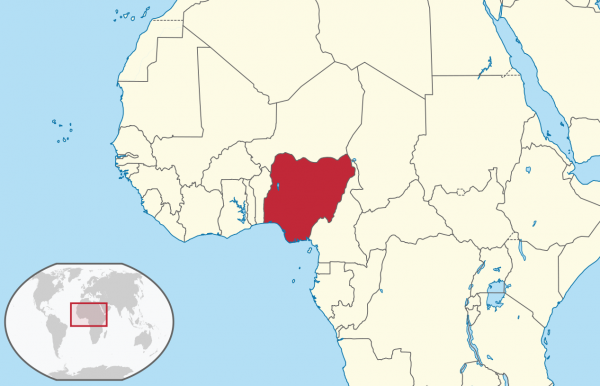 (Worthy News) - Two Nigerian Christian church leaders were kidnapped on March 25th following the discovery of the body of a Catholic priest who had been the victim of kidnapping two weeks ago. Reverend Emmanuel Haruna of the Evangelical Church Winning All (ECWA) was taken at gunpoint from his church in Nasarawa State after he went outside to search for phone service. “Please pray for his safety and release,” an ECWA spokesman asked supporters. It is estimated by the United Nations Centre for Peace and Disarmament that of the 500 million illegal weapons that flooded into West Africa after the Libyan crisis in 2011, 350 million (70%) ended up in Nigeria, supplying the predominantly Muslim herders with added teeth in their campaign against Christian farmers. Open Doors gives Nigeria the highest rating for violence in its score system for Christian persecution. Well, with a name like "the Evangelical Church Winning All (ECWA)" what did they expect? Seriously, anyone else see blatant pride glaring in a name like that? God hates pride. Well, maybe their god doesn't. Ours does. And the first "Christian" was a Catholic priest. If you are going to report the persecution of Christians, please confine your reporting to persecution of Christians, not Catholics and I don't know what the ECWA's are, but real (humble) folks who follow the Christ, like the apostles and first talmidim did, don't use names like that for their gatherings. Angela i dont know who you are but u sounded so stupid and foolish who cares about the name of a church this is a human being kidnapped for preaching the world of God i dont know when will we Christians grow up and be united this Muslims folks are united u are here talking bout ECWA after 9/11 you still dont have sense its a pity i pray they shouldn't kidnap your catholic priest then u might have a little brain..
Let's leave off the personal insults, shall we? Your ignorance can be cleared up in this. But why would I have a catholic priest? I know better than that. Perhaps I did not say it well. I take the correction though I'm going to leave it to our God, and Father, and His Word come in the flesh, now risen, to let me know if you are correct in your rebuke to me, or not. How's that? Apparently, you are not familiar with what I was talking about. So, I'll explain it better. And give you (and everyone else) also a chance to catch up. The gospel has now returned to Israel. That is a really big deal in the scope of all things Christian. And I do mean (for the sake of this) "Israel" physically. Every day, and for decades already, more and more Jews come to saving knowledge of Jesus, the Christ. For centuries, after the demise of the last Temple in Jerusalem, it was only a trickle of them, once the biggest bulk of them were saved, as a result of Jesus having come and ministered personally to Jews in Israel, the first time. Though I should point out, if you do not know already, in Hebrew/Aramaic Christ's name is more properly written Y'shua HaMashiach. You will find many spellings of that. In the eastern languages spelling is not so set in stone as it is in English. What that means is that what the apostle Paul spoke of as "the partial hardening of their (Jews) hearts" is now ending. The New Testament never said that all Israel would reject it's Messiah (Christ) for forever. Literally speaking, their hearts are now softening and the numbers of Jews "coming to Christ" is now staggering. Put another way, the hardening of their hearts is going away. And that is awesome news. Because, it's not just a fluke, some social aberration in time. It's a movement. And it is a movement that portends (foretells). And it is a movement that can not be stopped. In Israel, the Temple will be built again, the daily sacrifices will resume. That means both kinds of Jews will resurface and the old crisis line between Judaism and Jews who follow their Messiah will again come into focus. This could not happen unless, until, Israel was once more in existence as the Land that was theirs. What I am describing is a time line. That's why it is important. These things could not be happening except the time grows short for harvesting among the Gentiles (nations and tribes other than Israel). There can not once again be another hardening of their (Jewish) hearts. This time, it's going to go all the way to the national acceptance of their Messiah. Of their King. The King of Kings. Y'shua (Jesus) is his Name. It has happened just as the apostle Paul says, exactly as described in our Bibles, to let in the Gentiles. And so it has. What has that to do with The Church? So, I am saying that Jews are joining the church worldwide. NO. That is exactly what I am not saying. Because it is not true. The Church is now the old wine-skin too! That is what I am saying. "The world" of Christianity is not a world of "the churched" and "the unchurched." The church has no place in God's kingdom. The Church is a pagan entity. During the Middle Ages, any Christians, any real Christians, could barely stay alive midst all "the Church" was, for it was then the enemy of all who called upon Christ's name. Then, God led a Revival inside of The Church via many great men and women. For example, Martin Luther. But Martin only did what he could do. And the time of Jewish hard heartedness was not yet over. Now, it is ending, has ended in some Jewish families. Israel tolerates Messianic Jews once again. The MJAA (Messianic Jewish Alliance of America) is the largest Social Service agency in the Land and State of Israel. It does more than even the Israeli government does for it's own. The MJAA helps the IDF soldiers with their material needs more than their own government does. I kid you not. Ask the MJAA. If you check with Bible translators, around the world, you will find that the translating work of (esp) the New Covenant Writings of the Apostles (aka the New Testament) into new languages is speeding up at unprecedented rates. By new languages, I mean, ones that have not had or heard yet the Gospel (the good news) of God's own Word (Jesus) come down to mankind for our Salvation. That work, to preach to all that the world what the gospel has for us, and that personal relationship with Him restored as Adam and Eve had it. But there is more. Remember how the NT called the Mosaic covenant, the Mosaic Law, "the old wine-skin"? It was because God was saving (a) people right out from inside of it, by giving to them a new "wine-skin" for "the new covenant" so that it would not burst. That new wine skin is and was God's Kingdom. Never once did Jesus say he was bringing us "the church" or "a church." I doubt that this is something you have never heard of before. And it is because "the wine" which is, in the New Covenant called, Y'shua's "blood" needed a "body" which is the New Covenant aka God's Kingdom aka the bride of Christ...but that's not the Church or a Church. It was Catholics who invented the term church. And then translated all gatherings and called out ones, all meeting places, everything as "the church" so they could own it all, and control all of it. Now, Protestant pastors and elders do the same, even while many of them know this truth, that there is no "church" in God's kingdom. God did not give us "the church" but allowed it, just as He allowed the Old Covenant that was Mosaic Law, another, the original old wine-skin. But, just like Judaism was the old wine skin, and the Gospel now is spreading over the whole world now, the old wine-skin has two names. One name for the two old wine skins. One was the Mosaic Law and the other, at the other end of the nations of the world, is the Church. It is not merely, the old wine-skin of priestly Judaism that is not the new, it is the gentile version of the same thing, aka the Church, also. And that was invented by the Catholics in about 300 CE (AD). It's called "the church." Christianity has followed the same path of errors and doctrines of demons as Judaism did to end up with it's Savior (which only a minority, though still a many people, accepted). Now, the same can be said of all Christendom. Only a minority calling themselves Christian are actually saved. The "woman clothed in scarlet" is The Church. For decades and beyond the God and Father of (the real) Jesus Christ has been calling His people "out of" (aka ecclesia) not just "the world" but The Church, and the churches, worldwide. Why are there so many churches? Why has the Protestant churches and denominations fractured so many times? Why does it never stop? Because they keep using the name Church! End that and we will have fellowship, one with another. You may not be able to see it, but that is what has been referred to often as "the underground church" for lack of vocabulary on the part of the Seers (i.e. David Wilkerson, etc). I do not need your approval to know this is true. It may sound foolish. I don't care. The Gospel of Jesus Christ sounds foolish to learned men and women. It even sounds foolish to children until they need a Savior. The Church is now the gentile version of the same old wine-skin. Worthy News knows this. Many, many, Messianic Jews know this even when they get saved by accepting their Messiah Y'shua (Christ Jesus). Lots of Hebraic Christians know this. Even Pastors in some churches know this, but do not yet know what to do with the knowledge, or how to save their flocks in the midst of knowing this. Pray for them. Let the Catholics take care of the Catholics, and the Mormons care for their own. Do the same with the JW's and save what few can be saved as people flee churches all around the globe. Because it is coming. As more and more Jews accept the Messiah given 2,000 years ago, the rest of us must flee churches as the Jews once fled Jerusalem, before the Temple too was torn down. Leave the churches before it's too late. If not for you sake, for the sake of your own children and loved one. Flee them. The Pope and his kind are meeting with world leaders. Negotiating. For example, he went to China to negotiate for his own bishops and incarcerated ones. This is so important. "The tide has turned, already." And that is the very best I can do to explain this to you. It's all the words my Master (Lord) has given me to try to explain this phenomena. I can do no better. "The body of Christ" on this earth is actually "His beloved" and is the second Eve (Chavah) forgiven. If Jesus is "the second Adam" as the NT says he is, then we (all) are the second Eve and she is forgiven, this time. We are all the forgiven Eve, male and female, gender neutral, or nonbinary, or not. Oh, I see. You were trying to tell me what the "Winning All" was referring to. You should have a look at the groups which believe in a doctrine (of demons) called Christian Dominionism. Because a cult is a cult is a cult and this groups very name itself seems to say it is a cult. Which is always sad because true believers can and do exist among them. No one is stopping you from praying for what real Believer's in Jesus, the Christ, are among that group. It's just not right for them to be listed here on Worthy's Christian Persecution when they start out announcing themselves as "Winning all." Where's the humility in a name like that? We are not here to defend and pray for cultists. Our time and energies first are for our own families, brethren, our own kind, and they are not Dominionists. The other, is a Catholic, which is a cult, even though it is the largest cult (perhaps) on planet Earth. Let them pray for their own, and leave Worthy Christian News out of it. There's plenty of true Christians, Nazarenes, which is actually the first name of Messiah's followers (Messianic kind) and/or Messianic Jews/Gentiles who need our prayers, in every nation. If we wanted to know which cults to pray for, that should be listed some where else entirely. Don't be afraid to hold Jesus to His promise to have war with Amalek from generation to generation (Exodus 17:16), to unsheath His sword and to kill His Muslim enemies. He has the mandate from the Torah to do this. Read my reply to Richie. I'm not sure what you are talking about by using the term Inclusive. But I am sure of what I was talking about. Apparently, I wasn't clear the first time. My apologies for that.